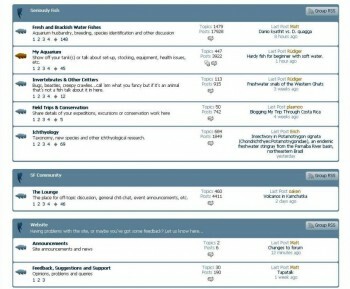 The SF forum has undergone a minor reshuffle, with the idea being to makes things a little clearer since there was some ongoing confusion between the ‘Beginners’ and ‘Fishkeeping and Aquaria’ sections. 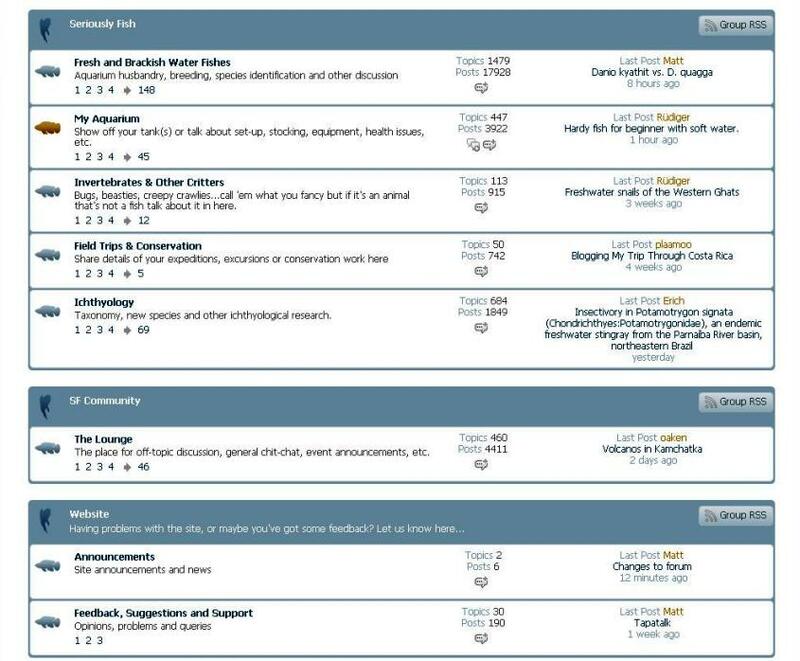 What we now have is a ‘Fresh and Brackish Water Fishes’ forum for all fish-related discussion and another entitled ‘My Aquaria’ for set-up, stocking, equipment and health topics. The media forum has been dispensed with and community members are instead encouraged to post photos in the relevant fish or aquarium forum. We’ve also added a ‘Field trips and Conservation’ forum, mostly because there were a number of threads that didn’t fit into any of the other fora but also because it’s an area of the site we hope to develop going forwards. Please feel free to add any comments or suggestions either here or in the forum feedback thread.